One thing Anna Maria Island does spectacularly well is locally sourced and expertly prepared food, especially during the holidays. Anna Maria Island restaurants along with those in Sarasota/Bradenton are exemplary all across the spectrum. From the beachside beauty of Anna Maria Island to the bustling downtowns of Bradenton and Sarasota, the region offers several different restaurant atmospheres and cuisine choices to suit different desires. This Thanksgiving Day, find a quiet New American eatery to relax in or bring the whole family along for a casual dinner atmosphere for a feast to remember. 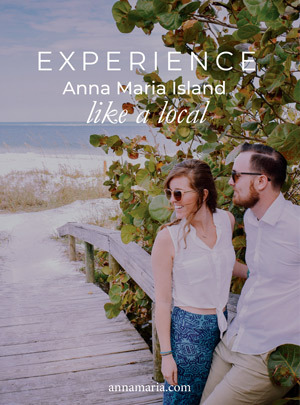 It’s all here on Anna Maria Island within reach of our exclusive vacation homes on the beach or very close to it. Anna Maria Island is a quietly reserved area, which lends well for some subdued family time this Thanksgiving. You can certainly find that kind of experience right on the island if you choose to cook at home, but head out to the Anna Maria Island Beach Café to experience something a bit more original. The Anna Maria Island Beach Café turns the traditional Thanksgiving dining experience on its head. Visitors can go to a buffet full of Thanksgiving favorites and then sit down and eat right on many of the tables resting on the beach. This is a free-for-all, with every holiday staple open and accessible for as many repeat helpings as you desire. This is certainly not your typical Thanksgiving gathering. The beach café is casual, offering classic American grub under the warm Florida sun. You will be awakened with the excitement of this warm beach café on Anna Maria Island this Thanksgiving. You can find it at 4000 Gulf Dr, Holmes Beach, FL 34217 – or just follow the coastline. Stop by around sunset to experience one of the most scenic holiday dinners that you’ll ever have. For loud, thrilling, and bombastic, you do not need to look much further than the waterfront Pier 22 Restaurant. It is a fixture in Bradenton and another ideal place to enjoy your holiday feast during an Anna Maria Island vacation. The large pier sits right over the tranquil waters of the gulf. It’s a landmark in the area, and the restaurant exudes a confident yet classy style. The Thanksgiving menu includes a mixture of the staples, such as broccoli casserole, potatoes, homemade stuffing, cranberry sauce, green beans, and, of course, some freshly-roasted turkey. There’s apple pie to top it all off. The Thanksgiving meal is November 23rd. and it runs for the whole day, from 11am to 10pm. You can find Pier 22 Restaurant at 1200 First Avenue West, Bradenton, FL 34205. Call the team for reservations at 941-748-8087. Prices are $29.99 for adults and $16.95 for children ages 12 and under. Starting at 11am and ending at 10pm, you can find a dizzying assortment of Thanksgiving treats and meals at Marina Jack in Sarasota. They are expected to continue to offer their full seafood focused menu, which will be featured alongside a special Thanksgiving Day menu. The menu will include pepper crusted prime rib, green bean amandine, turkey and mashed potatoes, sausage stuffing, cranberry sauce and other delights. There is expected to be about three core menu items, with a slew of holiday sides. You can find Marina Jack on the water at 2 Marina Plaza, Sarasota, FL 34236. Call 941-365-4232 for further details. All three of these restaurants are within a reasonable distance of our Anna Maria Island vacation homes and offer you some of the best options to experience a Thanksgiving feast like no other, in warm weather with white sand beaches to keep you busy in the meantime!